"My Son loves watching Nascar. He loved these decals to finish of his pinewood derby car"
NASCAR Pacer leads the pack! 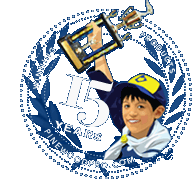 Pinewood Derby Car dry-transfer Decals include "OFFICIAL PACER CAR", Penziol, STP, ShockWave and more race car symbols! Very easy to apply! Just put against the car, rub the back of the sheet and they stick to your car like magic. No cutting! No plastic edges left over to trim. Very professional looking. Once I understood how these worked it went ok. The decals really pop on the car! Very nice product. These decals look real, great detail, my 7 yr old had no problem putting them on the car. They rub off very easily and no problems clear coating over them. Great deal for $5. we won best of show , made a big differnce in the look of the car.